Stress is something that all of us have to manage from time to time. We've looked at a few ways you can deal with it from the comfort of your own home. Stress is something that all of us have to manage from time to time. From being busy at work to relationship issues, life is constantly throwing challenges in our direction. It can be easy to let all this tension get the best of you, but this can be harmful to your health in a number of ways. In addition to increasing your risk of depression, studies have also shown that stress can lead to problems such as heart disease, diabetes and a weaker immune system. That’s just a snapshot of how important it is to pay attention to your stress levels and give your brain a break every now and then. Fortunately, there’s plenty you can do to regain control if you start to notice the effects of stress in your life. Let’s take a look at some practical steps you can take today. As the old saying goes, a problem shared is a problem halved. It can be tempting to keep your stress bottled up and not tell anyone. You might be worried that other people will see your problems as silly or trivial, or not be understanding about what you’re going through. In fact, what you’ll almost certainly find is that your family and close friends will want to help. Just a five-minute chat can be a real weight off your shoulders, whether you need their advice on a specific issue you’re having or simply want to talk about something else for a while. You can also arrange to meet them at a later date and set some time aside for enjoying yourself. When your brain detects stress, it tells your body to release hormones that will help you deal with the situation. Cortisol, known as the ‘stress hormone’, releases more glucose into your bloodstream to give you a quick blast of energy designed to help you in a ‘fight or flight’ scenario. In reality, these high-pressure situations tend to pass fairly quickly, but by eating a diet that’s high in sugar and refined carbs, you’ll end up producing even more glucose. This will mean you’re more likely to feel on edge. Protein - Foods such as meat, poultry, fish and eggs provide plenty of protein. This nutrient is rich in amino acids, which are an important neurotransmitter that helps your brain function. Vitamin C - This has been shown to help control the body’s cortisol levels, so getting plenty of stress-busting fruit and vegetables is a good idea. Citrus fruits are the most popular source, but you’ll also find plenty in strawberries, pineapples, raspberries and vegetables such as broccoli, peppers and Brussels sprouts. Vitamin B - These vitamins are essential in ensuring your nervous system works properly. Good sources include green vegetables, dairy products, eggs, meat and poultry. Let’s face it, telling people to avoid social media isn’t realistic advice. After all, we’re talking about something that has been linked to symptoms of addiction. Unfortunately, social media is not the best place to be if you’re stressed. It’s the place where your Facebook friends and people you follow on Twitter will usually post a filtered version of their lives that focuses on positive, fun things. This can result in you comparing someone’s online persona unfavourably with your own situation, which can make you feel even more stressed than you did before. While going cold turkey is not a workable solution, what you can do is be more disciplined about when you use social media. 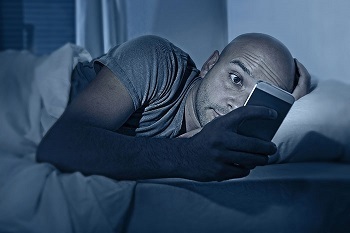 We probably don’t need to tell you that using your phone or computer in bed when you’re supposed to be sleeping isn’t a good idea. Choose an achievable time to put your phone away and spend some time in the real world. Sleeping when you’re stressed can be easier said than done. If something’s playing on your mind, it can be difficult to fall asleep. Even if you do, stress has been shown to increase your chances of suffering from disturbed sleep or bad dreams. The best to tackle this is to address the problem long before you turn in for the night. A raised heart rate is one of the key features of stress, so bringing this down will help a great deal. Take a relaxing bath, cut back on stimulants such as caffeine and Make sure your bedroom is a relaxing environment for sleeping by keeping it tidy, maintaining a pleasant temperature and investing in a comfortable mattress. The Sleep Council also recommends saying positive thoughts out loud to yourself before bed in order to emphasise that you are in control. This is something that’s becoming more and more mainstream every year. Take this study conducted by Harvard psychiatry professor, Dr Elizabeth Hoge, which showed that meditation was effective in reducing anxiety among a group of test subjects. Meditation encourage you to clear your thoughts and take slow, deep breaths. This is ideal for bringing your heart rate down and relieving tension. It costs nothing and it’s something you can do by yourself at home. If you’re unsure about how to meditate, there are various apps available, such as Headspace, that will help you get started. 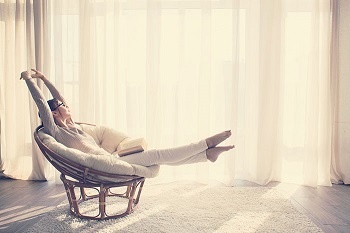 Yes, in some cases the simple act of being at home can make you less stressed. What we’re talking about here is paying more attention to your work-life balance. Even if you enjoy your job, spending all your time at the office can take its toll. Forcing your brain to stay switched on all the time can have a negative effect on some people, causing issues such as burn-out and depression. While it’s not always easy when you have a to-do list as long as your arm, taking the time to relax at the end of the day is a good idea. In fact, research indicates that overworking yourself just leads to problems further down the line. Mental health issues are the leading cause of absence in the workplace, causing up to 70 million working days are lost in the UK each year. 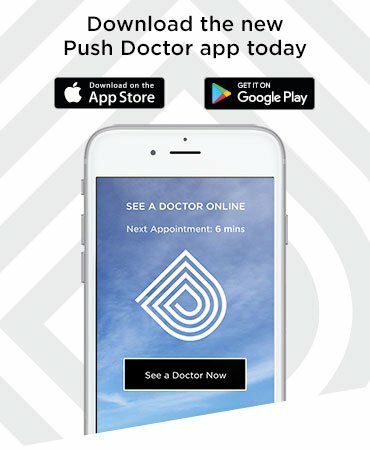 Struggling to find the time for a doctor’s appointment? While we’re on the subject of things you can do at home, if you need to talk to a medical professional, you don’t have to travel, take time off work or sit in a waiting room to do so. 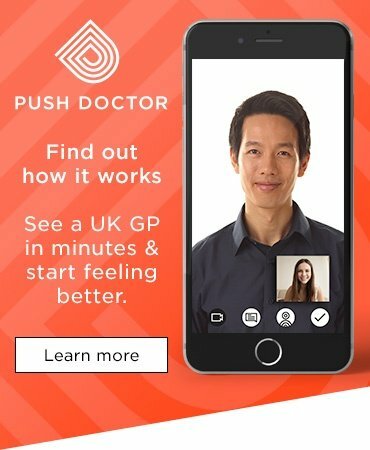 With Push Doctor, tackling stress head-on from home has never been easier. You can talk face-to-face with one of our experienced GPs from 7am until 10pm every day using your smartphone, tablet or desktop device and get the advice and support you need.